LOUISVILLE, Ky. (July 17, 2018) – Seth Lee Felts, Zsombor Tamas Gal, and Benjamin David Willmoth are the recipients of college scholarships from Fayette County Farm Bureau. 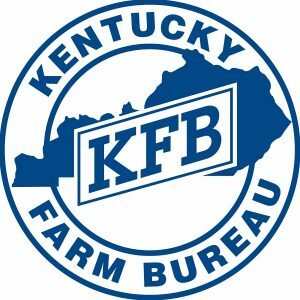 In partnership with County Farm Bureaus, the Kentucky Farm Bureau Education Foundation awarded $465,400 this year to deserving students from across the Commonwealth. Seth Lee Felts of Lafayette High School was awarded a $20,000 scholarship. After graduating from high school, Felts plans to attend the University of Kentucky to pursue a degree in career and technical education. Felts is the son of Will and Kim Felts of Lexington, Ky.
Zsombor Tamas Gal of Paul Laurence Dunbar High School received a $10,000 scholarship. After completing high school, Gal will attend Princeton University to pursue a degree in molecular biology. Gal is the son of Josef and Emese Gal of Lexington, Ky.
Benjamin David Willmoth of Lexington Catholic High School was awarded a $10,000 scholarship. After graduating from high school, he will attend the University of Kentucky to pursue a degree in biosystems engineering. Willmoth is the son of David and Carol Willmoth of Lexington, Ky.